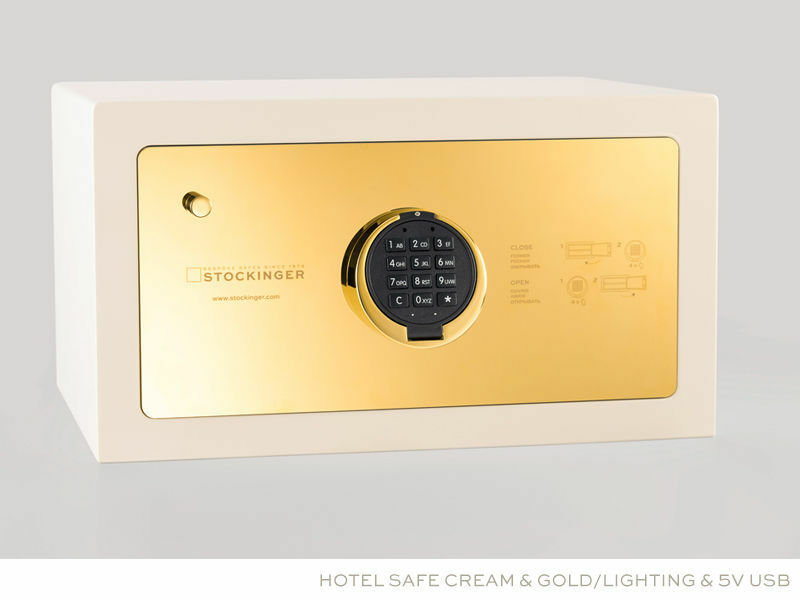 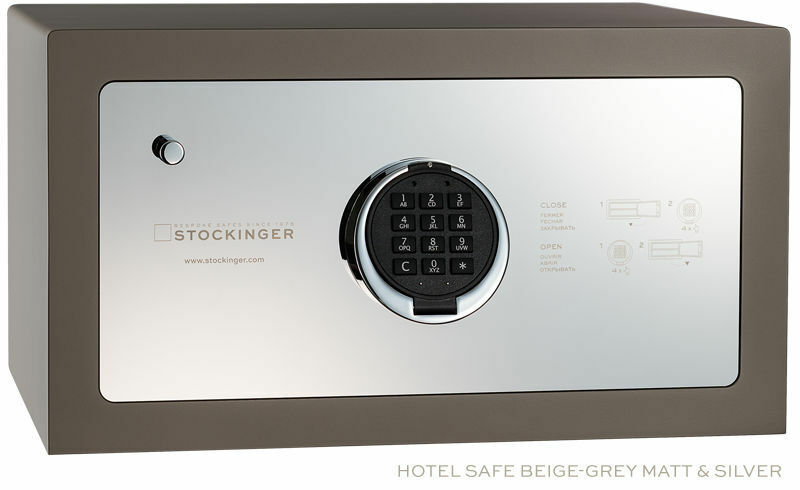 Contrary to common hotel safes, the smallest Stockinger model does not have to be hidden. 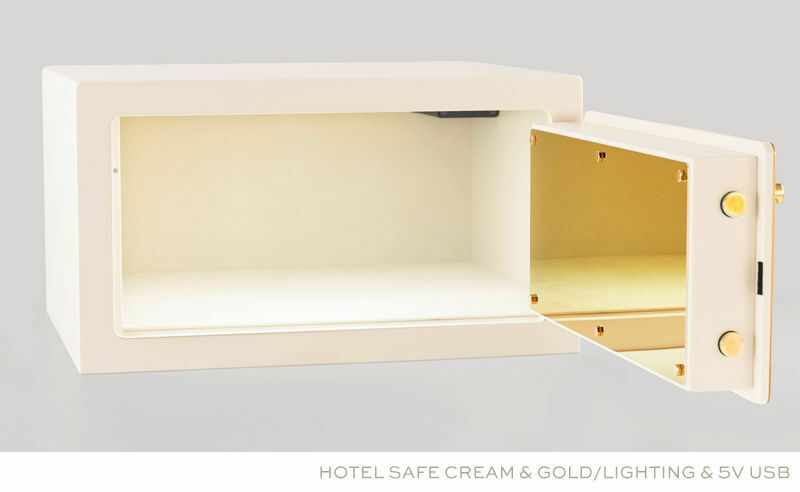 Thanks to its clear modern design and its top-notch manufacture, it matches any design-oriented hotel interior perfectly. 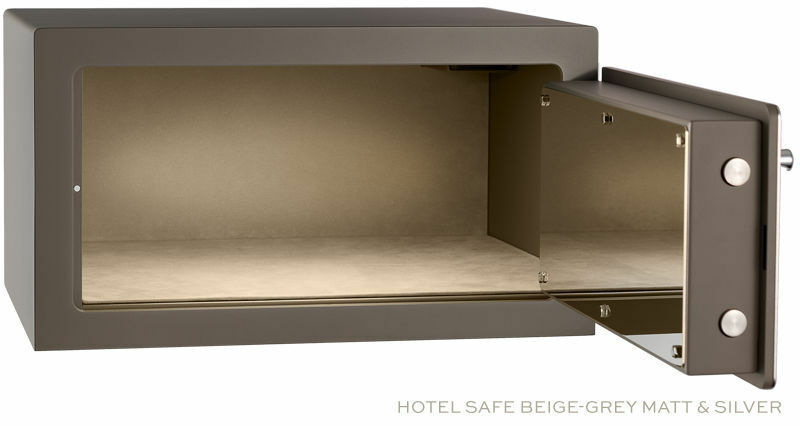 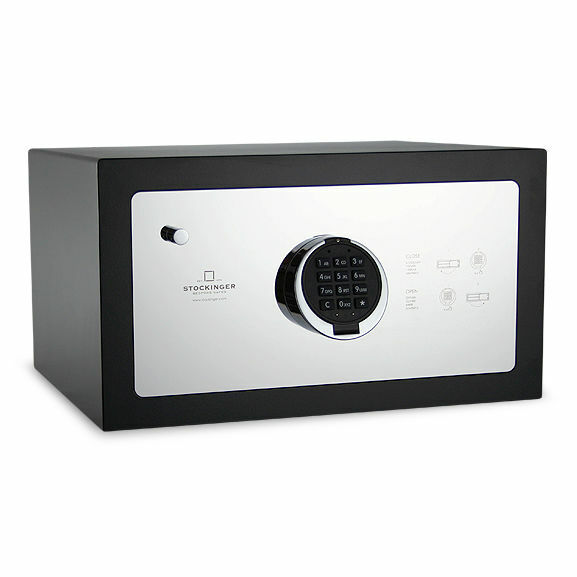 The power supply of the safe is SELV (Safety Extra Low Voltage) of 12-24V. Our clients are receiving a high-quality power supply (110-240V) upon delivery (for LED lighting and 5V USB charger).